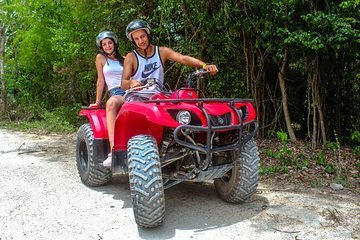 Kick up the adrenaline on your vacation with an ATV tour through the Mayan jungle. The qualified guides will give you are thorough safety briefing and teach you how to drive the ATVs. Once you feel comfortable, you can rip through the private course in the jungle. After all the excitement, you’ll be grateful for the cool water of the cenote and enjoy a swim!